For delivery to your door, email sales@otolithonline.com or call 215-426-4266. Your order request will be returned within 72 hours. Delivery is a available on Tuesdays or Thursdays. Most orders deliver the following week. Otolith’s Delivery Service has scheduled distribution routes throughout PA, NJ, DE and NYC. All other orders shall be shipped overnight via Fed Ex or UPS. Check Out Otolith’s Available Seafood! Otolith requires a minimum purchase of 20 lbs. for all orders being shipped overnight. Blast-frozen sushi grade fish will stay frozen when properly insulated and temperature controlled using frozen gel packs. Shipping fish less than 20 lbs. substantially increases the amount of frozen gel packs necessary to assure frozen quality and sushi grade fish. In the interest of our customers, we prefer that all orders to ship overnight must purchase a minimum of 20 lbs. unless authorization is provided to assure for the payment and the use of sufficient gel packs and insulation necessary to maintain quality and frozen delivery. sales@otolithonline.com. Email sales@otolithonline.com or call 215-426-4266. Your order request will be returned within 72 hours. Orders placed Monday-Thursday will ship the following week on Thursday. Orders placed by Friday-Sunday will ship on the first available Thursday. All fish deliveries arrive the next day or overnight and are packaged by Otolith to arrive frozen. You may request a specific future Thursday shipment date to assure the arrival of your fish on the Friday of your convenience. You may designate a shipping preference for either Fed Ex or UPS. Additional overnight shipping charges shall apply. Shipping charges are calculated using the least expense overnight guaranteed ground service or air freight service available plus a $5 handling fee. The $5 handling fee will be waived for any CSS member’s purchase to be shipped overnight delivery. 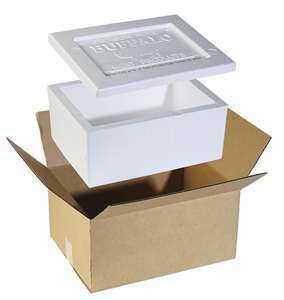 When additional packaging is required to maintain frozen seafood quality then additional packaging charges may be applied for insulation, special packaging and/or boxes.